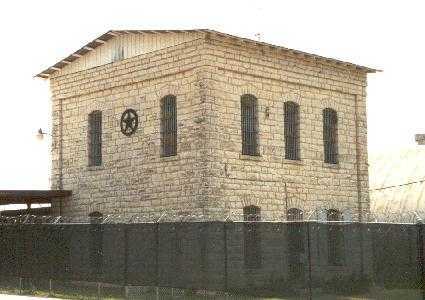 Blanco County Jail, Johnson City, Texas. 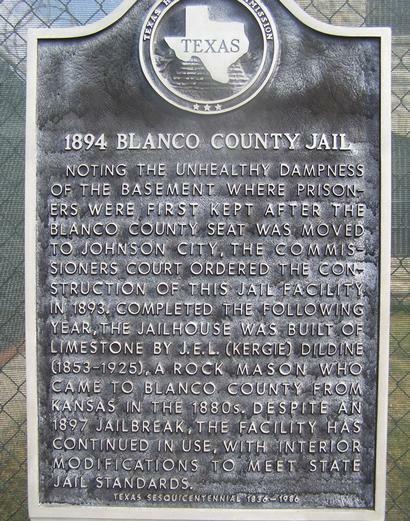 Noting the unhealthy dampness of the basement where prisoners were first kept after the Blanco County seat was moved to Johnson City, the commissioners court ordered the construction of this jail facility in 1893. Completed the following year, the jailhouse was built of limestone by J.E.L. (Kergie) Dildine (1853-1925), a rock mason who came to Blanco County from Kansas in the 1880's. 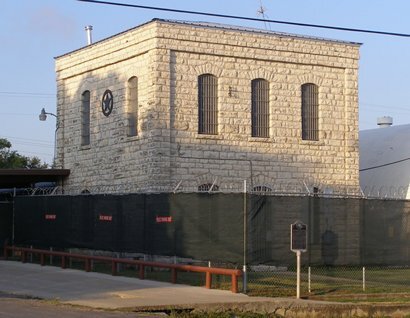 Despite an 1897 jailbreak, the facility has continued in use, with interior modifications to meet state jail standards.